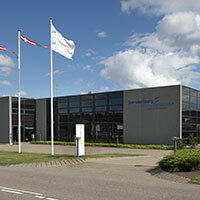 Sønderborg Værktøjsfabrik is a leading supplier of injection molding tools for the medical and hearing aid industries in Europe. Medical dosing equipment must deliver the exact dose of medicine every single time, a hearing aid must fit perfectly and comfortably and users of insulin pens or other dosage systems need to know that their equipment is precise – their lives may depend on it. -> Click image to play video! At Sønderborg Værktøjsfabrik there is no such thing as almost precise. In our world a tool is either precise or it is not. 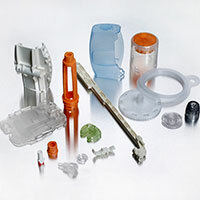 For more than three decades, our customers in the medical industry have trusted that the plastic parts in their products are of consistent, high quality, regardless of how many production lines are in operation. It is our goal to ensure that this happens. More than 40 years of experience have provided us with a solid foundation for our services, which help you achieve your goals. Using a technologically advanced and highly automated production facility, Sønderborg Værktøjsfabrik meets your expectations with regard to the quality, reliability and durability of tools that enable you to achieve the highest quality standards. Efficient use of materials and optimised processes are built on 40 years of experience. 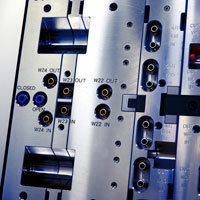 Live tests ensure that tools are optimised before they are installed in your production. A complete package with drawings and documentation provide flexibility & fast service.